Even if you are not a fan of the messaging application owned by the social network giant Facebook, still you might be using it to be in contact with a group of friends, work colleagues, school’s classmates, etc.. 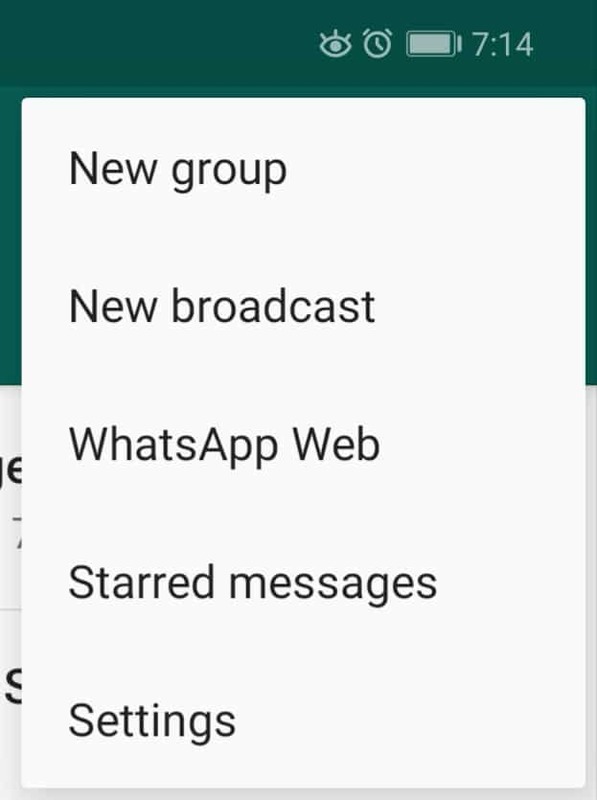 But, sometimes groups of WhatsApp become very annoying, hence, we are going to show you how to mute WhatsApp groups. The well-known instant messaging application, of course, WhatsApp is the most widely used means of communication worldwide that simply makes us almost bound to have it on our mobile devices. As if we are connected with several WhatsApp groups of several members each, it is likely that our mobile device will constantly ring or vibrate in every two minutes with the messages we receive in each of the groups. Hence, this can lead to a very annoying situation, which we can be avoided if we silence the most active groups. So far, anyone can add us to a WhatsApp group, but the fact is that this could change and everything points to the fact that they will not be able to add us to WhatsApp groups without our permission in the future. Mute a group of WhatsApp implies that, for a certain time, for example, while we work, the notifications of that group will be silenced and will not annoy us. However, if we want to go a little further, the most used instant messaging app WhatsApp also allows us to silence a group of WhatsApp forever or even deactivate notifications of messages as well. So, now without wasting much time let’s get started and explore the tutorial that we have mentioned below. To silence a WhatsApp group, the first thing we have to do is open the messaging app on our mobile device. Then, from the chat tab, we have to look for the groups that we want to mute. Once we find it, simply we have to tap and hold on the group. Now automatically, several icons will get activated in the top bar of the application where we can find the crossed out speaker icon, which allows us to silence a group of WhatsApp. Just after touching the icon, we will see a small pop-up window which shows the option to silence the notifications of that group for 8 hours, 1 week or 1 year. In addition, just below these options, we will also find a box that allows us to indicate whether we also want notifications to be shown on our screen or not. Once we choose the corresponding option, the selected WhatsApp groups will not show any notification and emit any sound or vibration every time when someone sends a message. 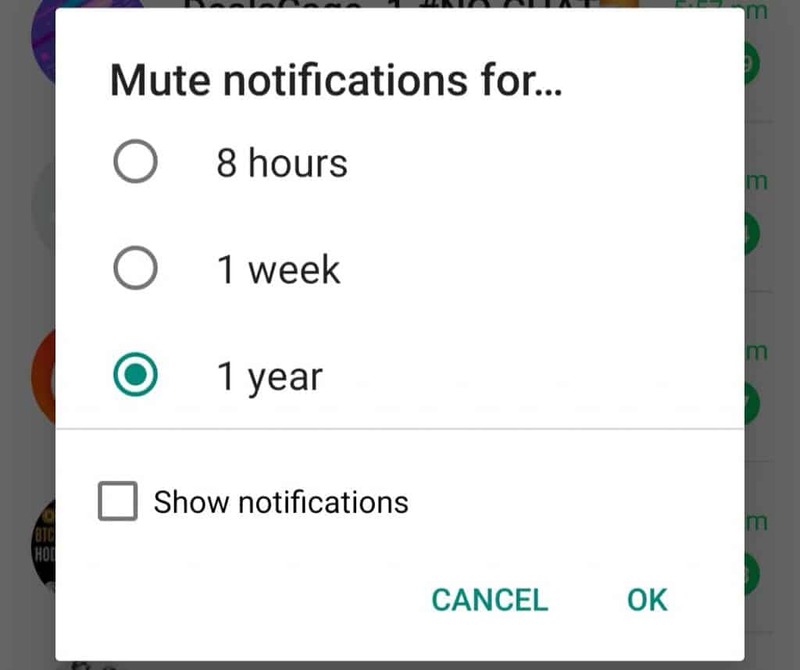 That’s it, now you are done, as like this you can mute any WhatsApp group. Moreover, we can also mute all WhatsApp groups at once. Yes, if what we want to silence all the WhatsApp groups to which we belong, we can do so very easily. Hence, to do this, we have to open WhatsApp. Now from the chat tab, we have to tap on the menu button to access the settings of the application. Now we have to tap on the Notifications option and then scroll down to find the Groups section. Within it, we will get two options that we must modify, one the Notification tone option, which we must have to select as None, and the other Vibration that we must set as Off. In this way, the configuration that we have just made will be applied to all the WhatsApp groups and will be silenced. So, what do you think about this? Simply share all your views and thoughts in the comment section below. And if you liked this article then simply do not forget to share this tutorial with your friends and family.